Dhaka, 17 Feb, Abnews: Manchester United boss Jose Mourinho says reports midfielder Paul Pogba regrets joining the club and could leave this summer are “lies”. Pogba was said to be irritated at not being employed more offensively, but Mourinho said that was not true. He also criticised “the biggest pundit industry” and said he “doesn’t have to speak about conversations with players”. But he added that Pogba “accepts he has not been playing well”. 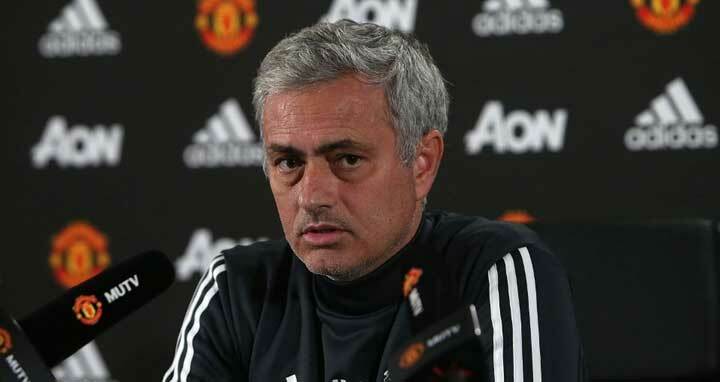 When asked for his thoughts on ‘speculation’ in the media, Mourinho replied: “I think you are nice with your words – because when you say lot of speculation you should say a lot of lies. Don’t be nice, be objective and say lies. “It’s a big lie that our relation is not good, it’s a big lie that we don’t communicate, a big lie that we don’t agree with his positions and his involvement in the dynamic of the team. “It’s easy and honest and objective to say Paul didn’t play well against Newcastle but some of the guys they are paid millions, don’t let people read things that are not true. Mourinho was also asked what position would help Pogba – a world record signing from Juventus when he joined for £89m in 2016 – produce his best form. He said it was a subject that was “quite ridiculous to speak about”, before asking a reporter where Pogba played against Newcastle. When the answer came back as midfield he added: “We played with one number six and two number eights? Or two eights and one ten? Or two sixes and one 10? “We play with one six and two eights. [Nemanja] Matic as a six, [Jesse] Lingard on right side of Matic and Pogba on left side. Do you know which is Pogba’s preferred system? 4-3-3. Do you know Pogba’s favourite position in the 4-3-3? Eight on the left. “It happens with every team when most crucial players are not performing. You don’t need to come with “we are going to sell him, we want to sell him, he wants to leave, we fight every day, we don’t see each other” you don’t need that.